The Singapore Food Festival which is held in July each year, is a much anticipated event. The festival provides a wide range of foods and showcases the country’s diversity, which is Singapore. Last years festival was themed as “A fresh taste of Tradition”. The theme brought about traditional favourites together with modern takes on the classics. The festival included many vendors, who were some of the best hawkers and chefs in the country. If you’re looking for modern dishes, the “Chinatown Food Street Mod- Local Fest” had a mix of local and foreign favourites. On the other hand, if you’re looking for a 5 course dining experience, “Stories” provided a meal like no other. For those who crave indian cuisine, “Suvai 2015” delivered some of the best indian food. The stall was in the Guinness World Records for the “largest amount of curry cooked at a single time” and the “largest cooking vessel” which was a 11 metre curry pot. The event also included Teochew Opera Performances and live cooking lessons with professional chefs. 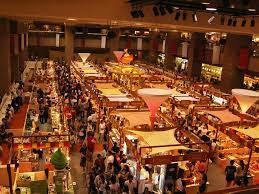 The Singapore Food festival is definitely an event to indulge in Singaporean cuisine. Visitors will be able to learn about the country’s culture, its people and most importantly, its food. If you’re planning on visiting Singapore this July, speak to your travel agent about the event. Your travel agent will be able to book you accommodation together with transport and tickets for the main event as well as cooking lessons with master chefs.